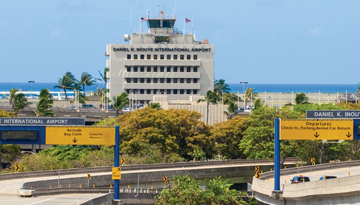 Honolulu, on Oahu Island, is the capital city of around nineteen central Pacific islands that make up the tropical Hawaiian archipelago – also the United States' 50th State. One of the most famous city neighbourhoods is Waikiki Beach, best known for its white sandy beaches, sunbathers, and crowds of surfers. Indeed, this is where the sport of surfing began life in the early 20th century. Visitors seeking serious retail therapy can head over to Kalakaua Avenue, where there are world-class shops to tempt the wallet – but traditional craft shops too – along with entertainment venues and major restaurants. Food-lovers wanting to experience the local food at its most genuine should try and find an establishment serving up 'luau' – traditionally a feasting event but often available at major hotels, and even served buffet style. Steamed pork in banana leaves is a typical dish. 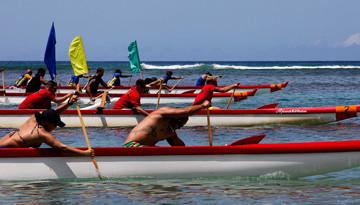 Outrigger Reef on the Beach – Seconds from the beach with 4 star accommodation. 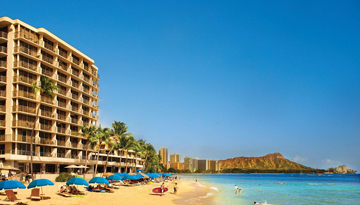 Fly from London - Honolulu & Stay for 7 nights with 4 star accommodation. Room Only.